What do you guys think. The thing can shoot faster than it ever did. Tunka.com - Working to keep paintball legal in Colorado's National Forests. The problem is, any shorter and they kink. If it kinks, you won't get any air. I was thinking maybe slightly longer hoses. I have some extra hose if I need to give it more slack. If you referring to the space that appears between the Tee and each hose, that is the hex head on the removable barbs. The hoses are fully seated. It seems to work great so far. Shoots very fast although I'm still using CO2. I can freeze a CO2 tank up in no time, even on a 70 degree day. I have a new HPA tank on the way. I can't wait to see how it shoots when it can't freeze up anymore. Great informative lesson... i'm new to tippmann guns and trying to figure out what my guy has on it... thanks. this is a very cool mod ..
but i have a Question..
i recently just got an A5, and the cyclone feeder ractchet broke on me. Now tippmann is sending me an updated ratchet for my A5. DO i have to do this mod shown in this thread? or its not necessary? also do i have to upgrade to the Techt upgrades? 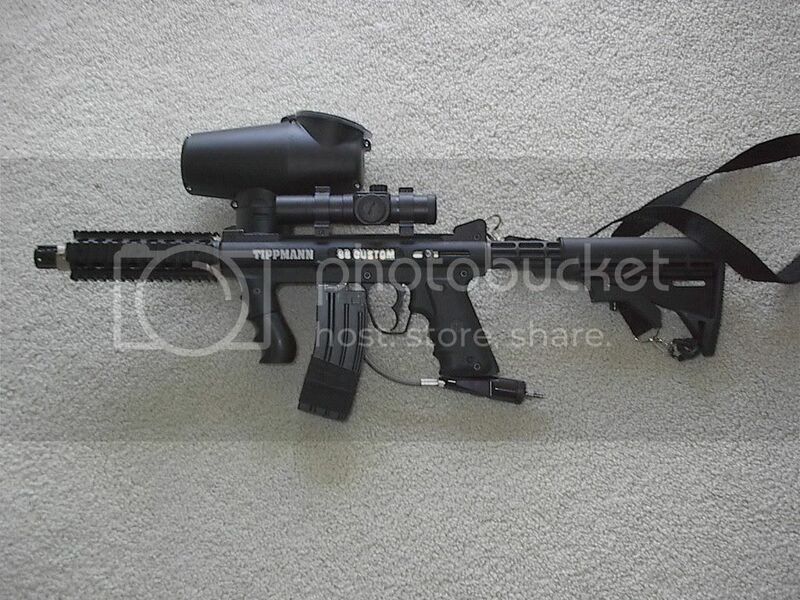 Or just search for "Tippmann Cyclone Mod"
I really want to learn more about paintball. This thread is helping me to gain more knowledge about paintball. I also really want to know more about the guns and there components. thank you for your information, i have got it. I just stuck a Clippard MEV-2 on my 98, will be getting the Super R/T on it soon. Just a quick question: Is a TechT Vortex Mod neccessary for this mod also?? This page was generated in 0.158 seconds.